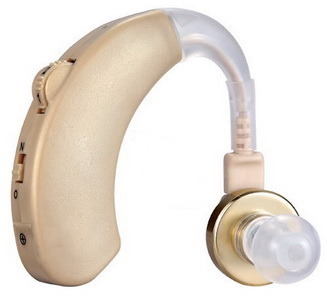 We are leading manufacturer of Hearing Aid. A Behind the ear BTE Hearing Aid is an electro acoustic device which typically fits in or behind the wearer's ear and is designed to amplify and modulate sound for the wearer. BTE aids consist of a case, an earmold or dome, and a connection between them. The case contains the electronics, controls, battery, microphone(s) and often the loudspeaker. Generally the Hearing Aids sit behind the ear with the connection from the case coming down the front into the ear. With our Hearing Aids, improved sound quality, reduced case size, “open-fit” technology, and immediate fitting is possible. We are well known enterprise engaged in providing high in demand Ear Hearing Aid. We emphasize on digital noise reduction system to provide optimum hearing experience to physically disable persons. This electro acoustic device is fitted with high performing components that fulfill the pledge of making speech more intelligible and to correct impaired hearing. Further, we stock a wide range of hearing devices including single tone pocket model hearing aid, double tone pocket model hearing aid, behind the ear hearing aid, and inside the ear hearing aid which can be availed from us at a competitive price. 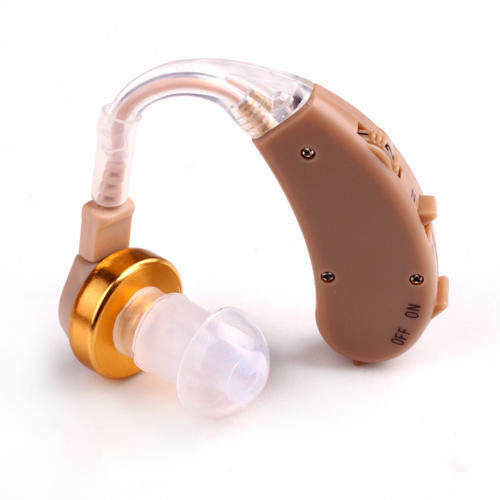 A Hearing Aid or deaf aid is an electro acoustic device which is used to amplify sound input for the wearer, usually with the aim of making speech more intelligible and to correct impaired hearing. 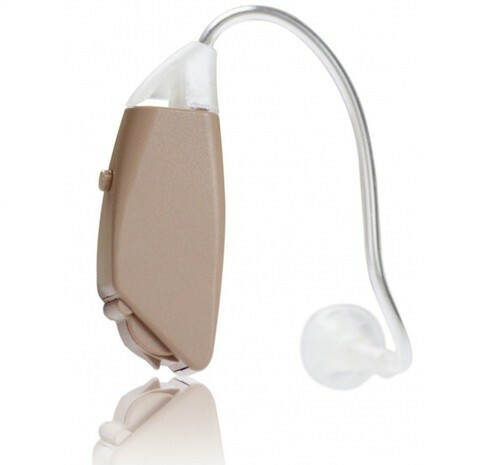 Hearing aids supplied by us are available in single tone pocket model hearing aid, Double tone pocket model hearing aid, behind the ear hearing aid, Inside the ear hearing aid, etc. A Hearing Aids or deaf aid is an electro acoustic device which is used to amplify sound input for the wearer, usually with the aim of making speech more intelligible and to correct impaired hearing. We have established ourselves as trustful entity developing high quality Digital Hearing Aid. 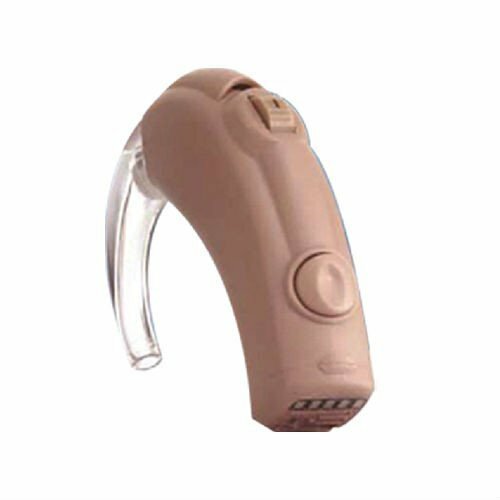 The easy to fit hearing aids are demanded widely for its reduced case side and immediate fittings. Featuring an open fit technology the highly comfortable hearing aids are designed and developed by industry leading experts in our team. Further, we make sure to verify the quality of the components which include electronics, controls, battery, microphone(s) and the loudspeaker. 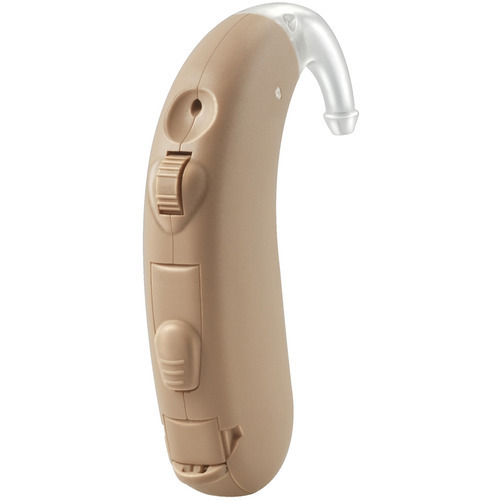 Our prestigious clients can order the highly durable hearing aid from us at a nominal price.